On this screen, you can check the general usage of your device and a brief scanning, cleaning and backup history. It's recommended to process a scanning and cleaning weekly. Tip: Now PhoneClean is capable of connecting with multiple devices at the same time. 1. Specific device usage condition, also shows you how much space has been taken by Other. 2. 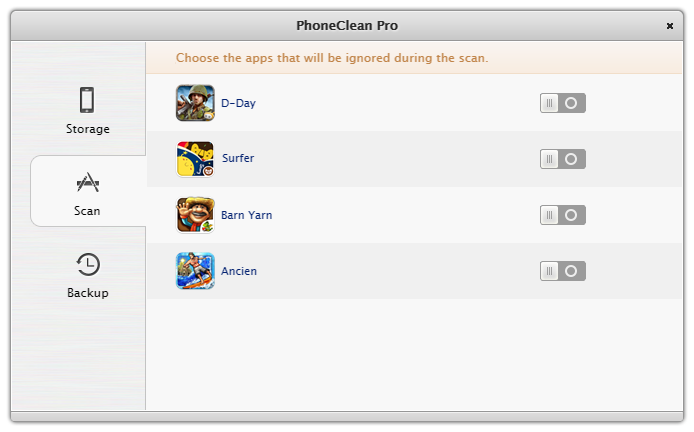 Set the apps that you want to prevent PhoneClean from scanning and cleaning. 3. 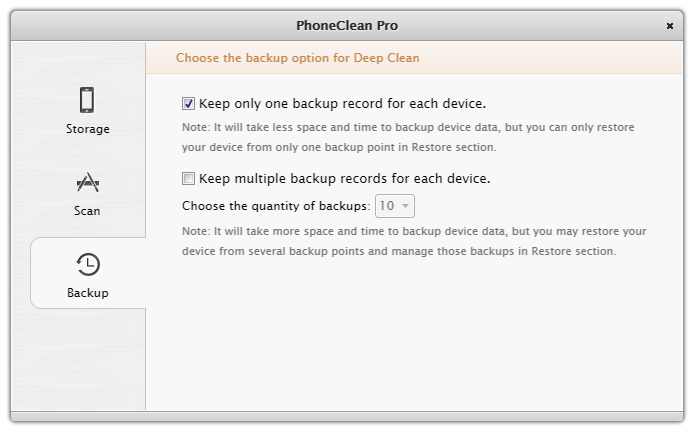 Check you want PhoneClean to 'Keep only one backup record for each device' or 'Keep multiple records for each device'.